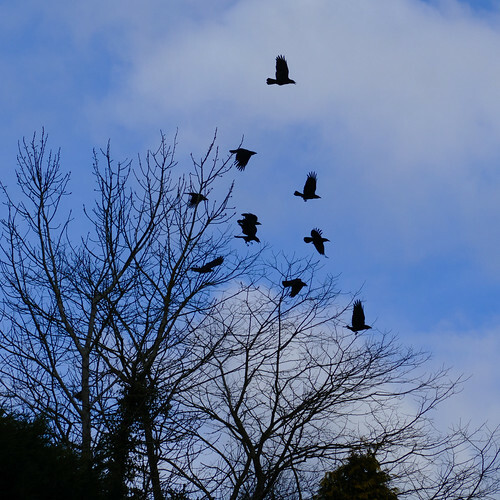 Ten or a dozen rooks on a tree by the Bridgnorth Road at Compton, seemingly keeping an eye on the comings and goings at the garage opposite. When I took out the camera, they all took off. Flew around fpr perhaps half a minute while they checked what I was doing, then landed back in their tree.